Let’s face it– the prospect of riding any form of mass transit can be daunting. In America, there is no equivalent to the Japanese high speed rail network. There is no simple way of getting from point A to B, unless you’re into getting felt up by the TSA and have a fetish for security checkpoints. The Shinkansen is a very effective way to get from city to city, but it can get extremely expensive and confusing if you don’t understand how it works. This guide is meant to be as simple and to the point as I can make it. And yes, it really is this easy. 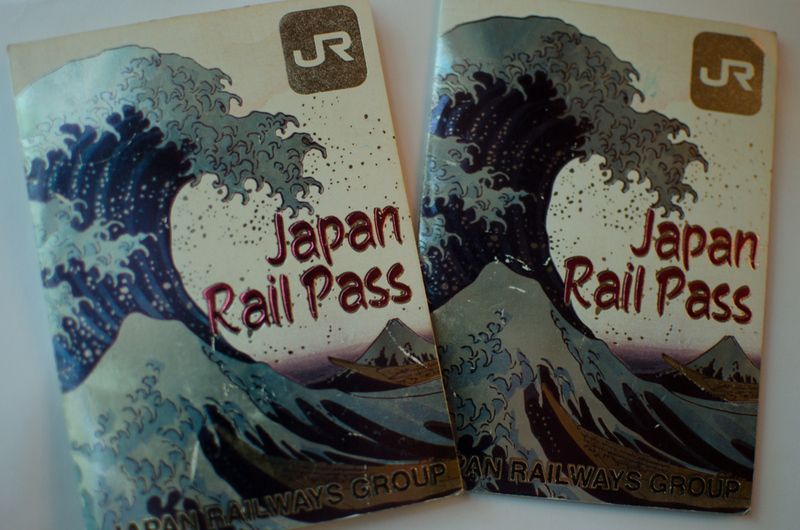 Why would I want a Japan Rail Pass? Does it really lower the cost? Green (Upgraded) – This class is of debatable use. 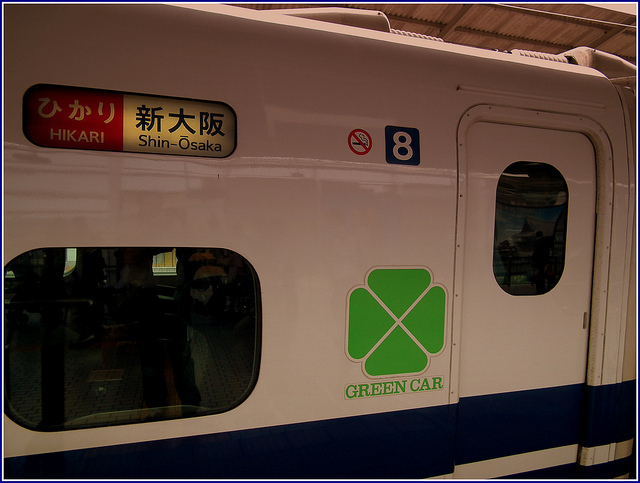 The only benefit it provides is allowing access to the Green cars of the Shinkansen, but not all Shinkansen trains even have a Green car. In our experience, unless you know you will be traveling during peak times during peak hours and simply can’t be bothered to make reservations, you would be better served by saving your money and just reserving a seat in advance on the ordinary train. More on this later. To put the savings into perspective, round trip fare just to go from Tokyo to Hiroshima would cost ¥23,320. The trip takes 5 hours, and is well worth taking. Alternately, you could spend a little bit more and get the 7-day pass. With so much to see and do in Japan, buying the pass will enable you to zip around on any day trip you please, for free, as well as being able to take local JR lines for free when/if those might be more convenient than local metros. The Japan Rail Pass provides full access to the many high speed rail networks across Japan. The map below highlights the destinations you will be allowed unlimited access to during the time period you choose for your Rail Pass. Remember these two names: Nozomi and Mizuho. These are the only two trains you cannot use the rail pass on, as they are both express trains. Speed aside, there is nothing else special about the Nozomi and Mizuho trains. They travel the same lines, to the same places as any of the other eligible trains. 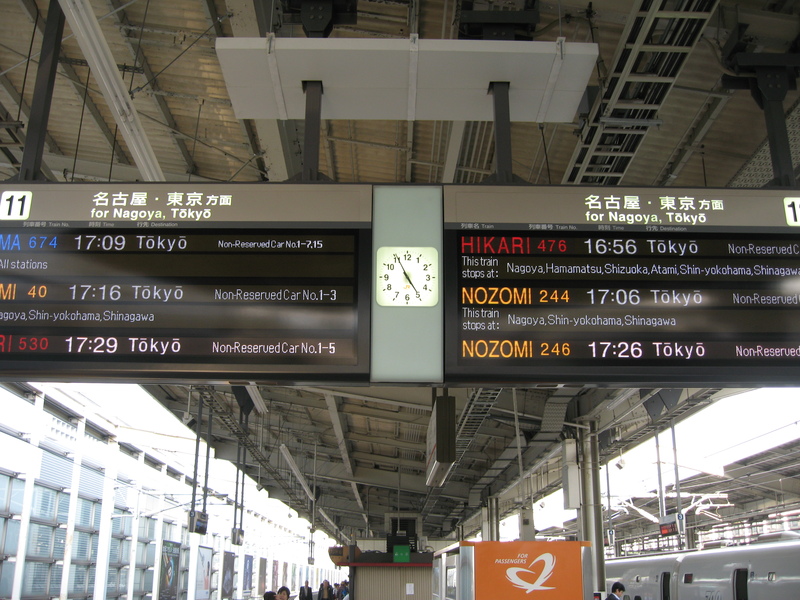 All trains are clearly labeled on the schedule board in every station in both English and Japanese. More on this down below. The Japan Rail Pass also provides full access to the local JR trains. For the most part, the JR lines are not as efficient as the local metro lines. The JR routes tend to run between the major cities and the suburbs. In some cities JR will literally take you in a circle around a city with no direct line into it. If you plan on buying a Rail Pass, don’t plan on using it as your only means of transportation. Be sure to factor in the cost of local metro fare. For example, plan on buying a day pass for ¥1000 every day in Tokyo. It’s a flat rate, and will get you everywhere you would want to go that the pass does not cover. With both, you will be unstoppable! Remember that trip from Tokyo to Hiroshima mentioned earlier? You will be so glad you took it when you get to Hiroshima and decide that you really want to check Miyajima out. It’s a wonderful day trip that should not be missed if you find yourself in the Chugoku region. The best part? JR runs the ferry to and from Miyajima, and ferry access is covered by the Rail Pass. Just flash it at the Ferry Terminal and off you go! Getting Started: Determine eligibility and purchase an exchange order. If you are a foreign visitor, with temporary visitor status (up to 90 days), you’re eligible! *As a Japanese citizen, you may still be eligible. Click here for information on obtaining a Rail Pass as a Japanese citizen. The first step to obtaining a Japan Rail pass is to purchase an exchange order at your local Japanese Travel Bureau. If there is no JTB near you, you’ll have to purchase one through one of their agents, available from the same link. The exchange order is NOT your final Japan Rail Pass. It will not allow you to board a train! It is just a glorified receipt that you will need to bring to Japan and exchange on-site for your actual pass! All purchases require an active and valid passport. Simply head over to your local office or agent. You will need to know when you plan on going to Japan, which type of Rail Pass you want, and what day you plan on starting to use your pass. EXCHANGE ORDERS ARE NOT SOLD IN JAPAN. If you arrive in Japan without one, and attempt to purchase a Rail Pass, you will be disappointed. You cannot purchase a rail pass earlier than three months before your intended use. For example, if you purchase a pass on April 1st, the latest you can exchange it would be July 1st. For those of you who like to book everything well in advance, this will just have to wait. The first time I purchased an exchange voucher I got over excited and bought 5 months in advance. The lovely lady at the JTB office called me a few days later to tell me I needed to return to the office for a refund, and would have to come back closer to my departure date. 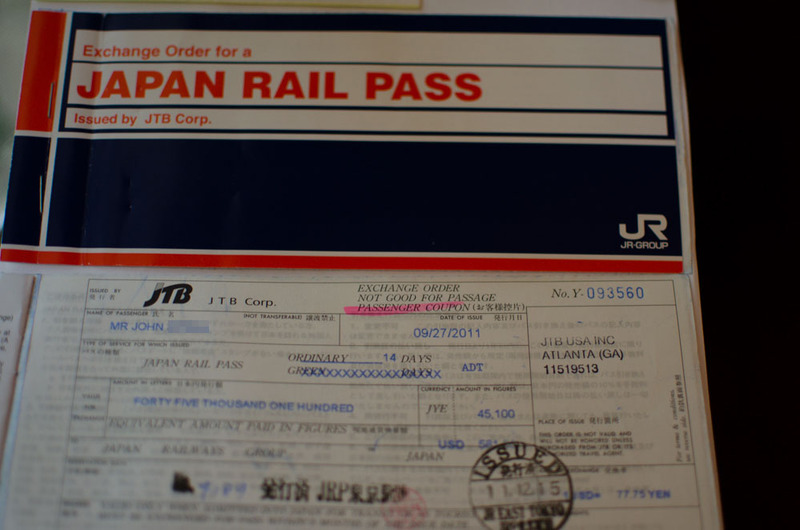 Redeem your exchange order for the Japan Rail Pass. So, now you have an exchange order. What’s next? You’ll need to get a Temporary Visitor sticker in your passport. Getting the sticker is easy enough. All you need to do is fly to Japan from another country as a tourist and you get one by default. Once you arrive at the airport, you will be directed to customs. You’ll answer a few questions about the nature of your stay, have your picture and fingerprints taken, and your passport should be handed back to you by the official with its fancy new accessory. The only ways you could conceivably fail to get this sticker is by a grievous error on the official’s part or if, through birthright or some other weird arrangement, you are a citizen of Japan already. Behold! The Temporary Visitor sticker. With it, you can now master the rail system! Without it, you’d better be prepared to pay full price everywhere you want to go. Now that you have the sticker in your passport that shows you’re a tourist and are thus eligible for the subsidized tourist rates, you need to get yourself to an exchange office. These are located throughout Japan, with the convenience of being in every major airport and all major rail hubs. We have consistently exchanged our orders at the JR Tokyo Station exchange office. The offices are clearly marked in English, and are easy to find in the airport/station of your choice. Upon arriving at the exchange office, just hand over your passport (they need to see that fancy Temporary Visitor stamp) and the exchange order you were given in your home country. Tell the agent the day you want to be your official first day of use. Remember, if you choose a 7 day pass, and you start on a Sunday, the pass will expire on Saturday of the same week. The day you initiate the exchange counts as one of your days! Once the agent has taken your information, you will be given your official Japan Rail Pass. This pass is your literal ticket to ride. A note on seat reservations. Luckily in almost all cases, reserved seats are simply not necessary. This can be confusing for anyone who comes from a country where reservations are a must. Here in America, we have a rising trend of reserving seats for everything, even seeing a movie! The idea of not needing to reserve a seat on the Shinkansen sounds iffy. The Shinkansen, like almost every form of transportation in Japan, is razor-precise. Trains will depart to various destinations every few minutes. With so many trains, the likelihood of easily getting a seat, at any time of day, is quite good. You don’t even need to know the train schedule. Chances are, if you have a popular destination in mind, you’ll get to the station and won’t have to wait long for a train to hop on to. There is no repercussion to reserving a seat and not making your train, but it might cause you to be unnecessarily rushed in your haste to make your train on time. Our first trip to Japan, we reserved seats for every trip we planned to take. After our first trip from Tokyo to Hiroshima, rushing to get to Tokyo Station in time to make our train, we realized we were worried for nothing. As a general rule, with the exception of major holidays such as New Year (December 30th-January 3rd) and Golden Week (April 27th -May 6th), you would be well off just skipping reservations all together. *This does not apply to routes that REQUIRE reservations – The Narita Express between Narita Airport and Tokyo Station is one that comes to mind. 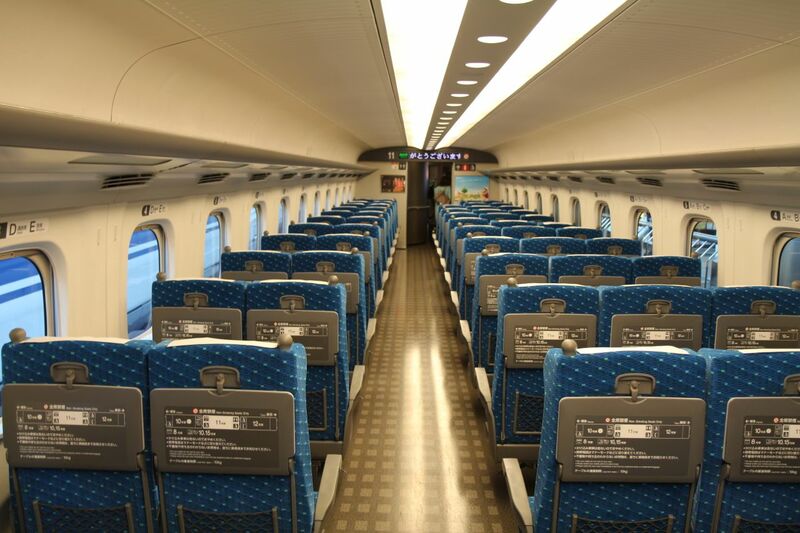 We highly recommend taking the Narita Express to the airport if you need transportation. It is much cheaper and faster than the shuttle from your hotel. One way or another, you’ve got a ticket to ride. Time to use that bad boy! First, get to the station of your choice. 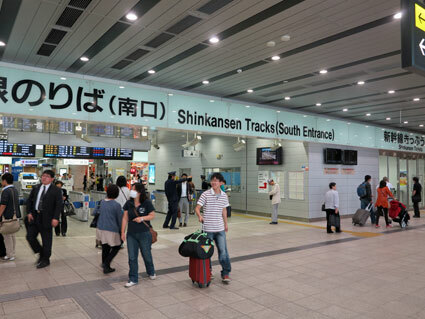 You can find the Shinkansen Station list here. Once you have arrived to the station of your choice, it’s no different than any other subway. That’s right. You read that correctly. There is no ticketing, no security, no check-ins. Nothing. See that man sitting in the little booth to the left? You walk up, Rail Pass in hand, and flash the inside of your pass to him. He may or may not even look at it, but he’s supposed to make sure your pass is still valid (some counters are very attentive, others less so), and wave you right through to the tracks. Once inside, all you need to do is look up. Follow the signs above directing you to the Shinkansen tracks. You will reach a point where there are various escalators up to the Shinkansen trains themselves. Be sure to know where you are going ahead of time. For example, if you look at the map in the above section, you can see that the line connecting Tokyo to Osaka is the Tokaido line. Using this information, if that’s the route you are planning to take, make sure to follow the signs to the correct line. 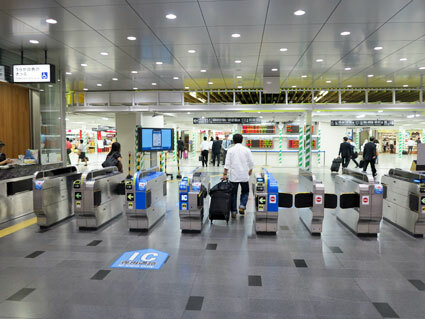 The below photo shows you that if you go up the escalator, you will be on the correct path towards the Tokaido Line. Once you’ve taken the escalator up, you will find yourself topside. The Shinkansen lines will be right in front of you, as through you are taking a mere metro line, rather than the beast of efficiency that is the Shinkansen. 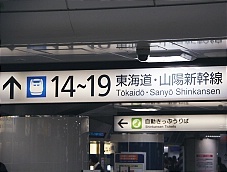 There will be boards above you displaying the train schedule, flashing between Japanese and English. The boards will show you the trains incoming, what type of trains they will be, where they are headed, and what time you can expect them to arrive. Take a look at this board. You can see that there are two tracks on the platform. Both tracks are headed in the same directing towards Tokyo. The train that will be arriving first is the Hikari 476. If you remember correctly, the Hikari is JR Pass eligible. The train will be arriving on the track to the right at approx. 16:56. 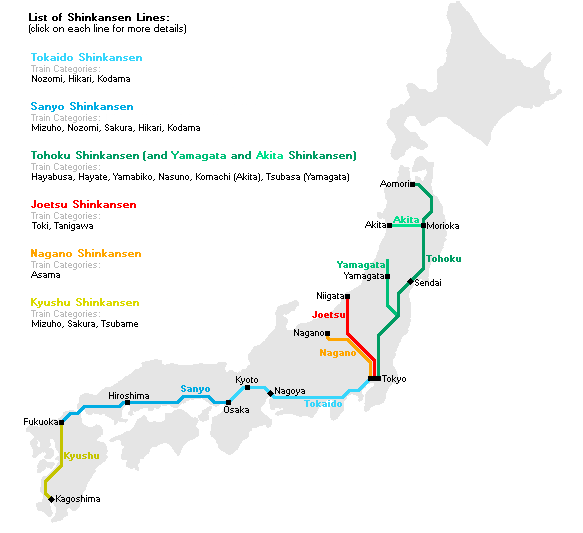 The Shinkansen is notoriously on-time, with only a few minutes at each stop. The train stops just long enough to allow passengers to quickly board, put away luggage and find their seats. The following two trains are both Nozomi. This train is NOT eligible for the Rail Pass. Close attention must be paid, as there will not be an attendant checking to make sure you are in the right place when you board. It’s up to you. This brings us to boarding. Board the train and find your seat (if applicable). This is not difficult to do, but do keep in mind that there will not be anyone checking your tickets to ensure you are where you are supposed to be. You’re ridin’ solo, my friend. The schedule boards do more than let you know what train is coming. They also tell you what cars will be for non-reserved seats. Keep in mind, you will get NO extra benefits to having reserved seats with the Rail Pass, other than the mental peace of mind that may bring you. We traveled on the Emperor’s birthday (a national holiday) and practically had the train all to ourselves. It’s comfortable enough on the inside. You get larger seats and a flap of cloth for the back of your head. There is no priority boarding, no special foods, no extra attention. Unless you are extremely worried about availability, I would not upgrade. This may be the first time in my life I have taken this stance. I have always found some sort of benefits to upgrading. In Japan, the Ordinary class of car is like first class everywhere else. There is a ton of room, the seats are large and comfortable, and there is plenty of luggage space overhead. After my initial skepticism over not upgrading, I could not believe we weren’t in the wrong place. On our first trip we had reserved seats, so it was pretty clear we were where we were supposed to be. Is anyone actually going to check my ticket? Maybe, maybe not. Just like in parts of Europe, ridership is based on the honor system. There were quite a few trips we took where nobody ever checked our tickets. 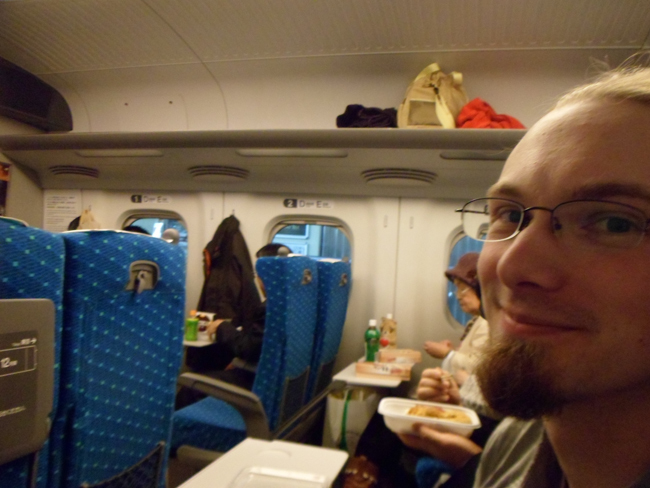 On our first trip, we went from Tokyo to Hiroshima, switching trains in Osaka. 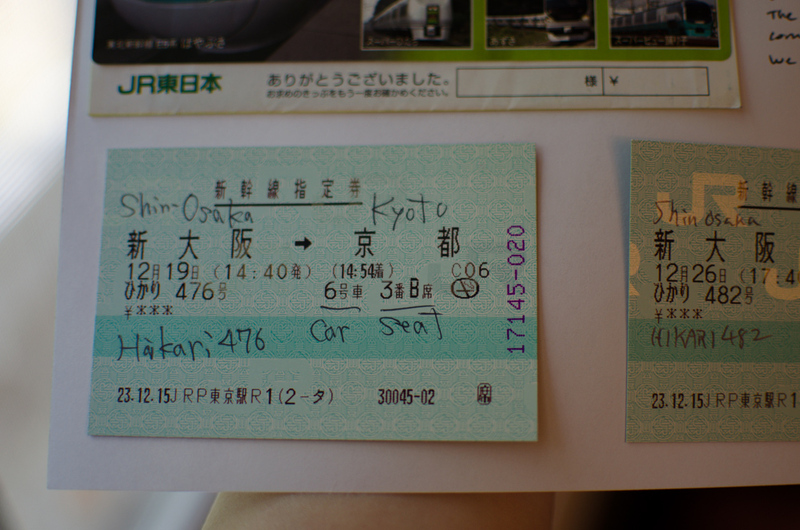 It wasn’t until we were about an hour out of Hiroshima that we had our tickets checked. If you decide not to reserve tickets, showing your Japan Rail Pass counts just the same. Just don’t get caught on the Nozomi or Mizuho. At any rate, boarding the Shinkansen is no harder than boarding a metro train. Passengers wait on the platform, often purchasing last minute snacks or gifts while waiting for the train to arrive. The wait is never long before it’s time to set off. All one needs to do is make a note of which cars are non-reserved, or which car your reserved ticket shows, and walk to the corresponding line on the ground. Once the train arrives, simply board and get yourself settled. There will be ample storage space on racks above the seats, and the room on the ground at your feet is more than the trunk space in some cars. In mere minutes, the doors will close and you’ll be on your way! Generally, the first thing many passengers will do is tear into a nice Bento Box. In our experience, something about the Shinkansen makes people hungry. If you did not think to pack some snacks ahead of time, there will be an attendant coming around with a tray filled with lunch boxes and other goodies. 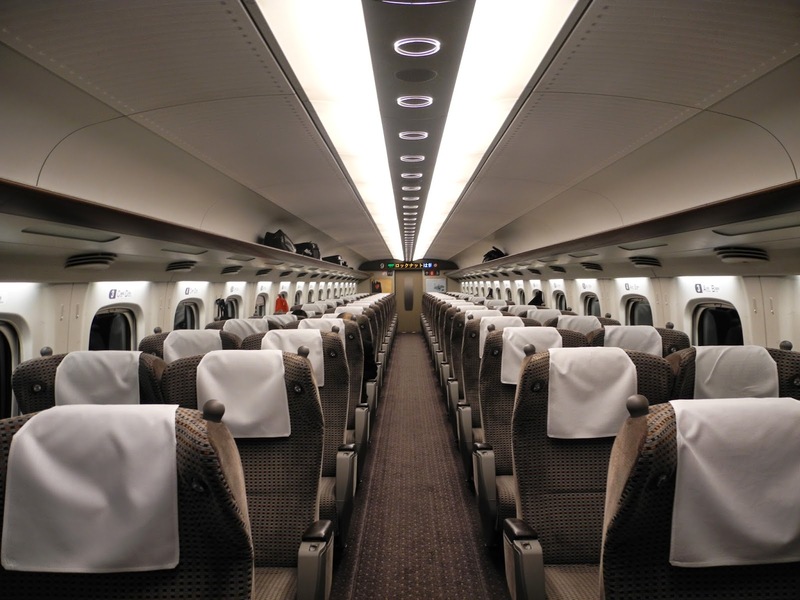 What is it like to ride the Shinkansen? Any special concerns? The Shinkansen has restrooms, so consider yourself covered if you were worried about that last little bit. They’re much nicer than you would expect (or exactly what you would expect) if you’re not new to Japan. Smoking was banned a number of years ago, so if you must do it while on-board you will have to do it in specially-designated smoking rooms located every other car or so. For the most part, riding the Shinkansen doesn’t feel any differently that most other forms of transportation. Initially, there is an odd feeling of an impending take off, but the take off never happens. Pretty quickly you get used to the feeling of the train. Johnny is notorious for being prone to sea-sickness, and I occasionally have bouts of vertigo, but neither of us had the slightest problem when riding the Shinkansen. The second time we traveled to Japan and rode the Shinkansen, we were accompanied by our best friend, Potts, who was more than a little unaccustomed to the rigors of travel. He pretty much fell ill as soon as the plane landed, and he didn’t handle the Shinkansen any better. On the brief trip from Tokyo to Kyoto, the poor guy suffered from nausea the entire trip. At one point we were worried we would need to get off. We would advise anyone who suffers from vertigo, or who finds themselves ill on a travel day, to please be sure to bring some Dramamine or a comparable anti-emetic. In most cases, it won’t be necessary. But having seen the effects of motion sickness from the Shinkansen first hand, we cannot stress the importance of having medication on hand. For the return trip, Potts spent the entire trip doped into oblivion. Even though he was still terribly sick, the ride back was a breeze. Definitely agree, the only way to really make it worthwhile is if you know you’re going to be taking the Shinkansen a lot. In our case we’re generally city hopping every two or three days and buying individual tickets would cost a few thousand USD by the time we’re done. It’s definitely not worth getting if you intend to stick to one or two cities; local JR lines don’t really go anywhere relevant in most cities and in the off chance you need to take one (to Akihabara maybe) you might as well pay the few Yen in fare. Bookmarked this! 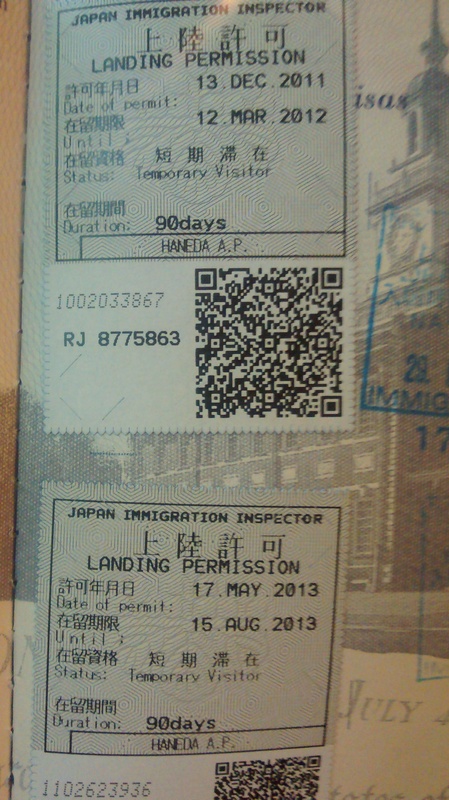 Just realized how important having a JR Pass is when traveling throughout Japan. Thanks for putting this guide together!